As a kid, I can remember my Mom cutting up Spam into thin slices and pan-frying it with brown sugar for breakfast, but it's something I haven't eaten in decades. Visiting Hawaii, it is interesting to see how Spam has become part of the cuisine, with everything from Spam musabi to Spam fried rice appearing on menus. 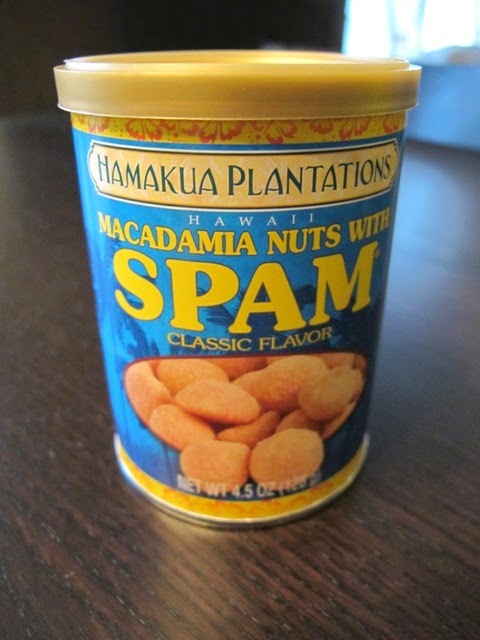 These Spam-flavored macadamia nuts seemed like the perfect Hawaiian souvenir! Huffington Post Article: Why Do Hawaiians Love Spam So Much? Are you a fan of Spam?